1. Can you tell us a little about you? I am Mohsin Habib. I am professional WordPress developer with four years of experience in web development; I am addicted to WordPress and love to solve WordPress problems and issues. 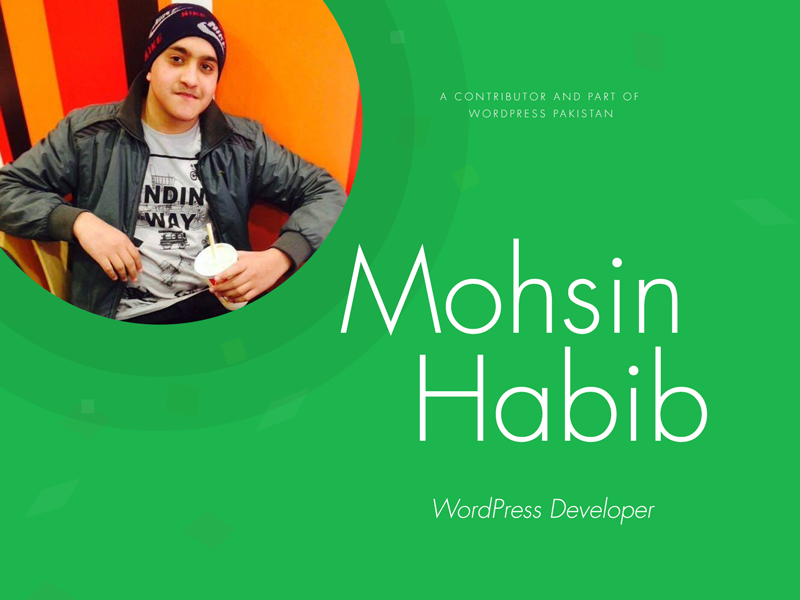 WordPress is my first open source software that I contributed to, the experience was incredible, I am very thankful to Sir Ahmad Awais, who provide me an excellent opportunity. 3. Why did you decide to spend your weekend contributing for WordPress? WordPress is built by volunteers. People from all over the world collaborate to create the core software it is my passion to become a WordPress guru. And WordPress community is just the perfect place to meet experts in the field. That’s why I decided to join weekend contribution at WP-Pakistan. Couldn’t be happier. 4. Why do you think we should contribute? WordPress is a vast community of developers, marketers, super admins from all over the world and I think its best way to make our country proud.